Many Filipinos are on the hunt for extra income. But since the Philippines is a country where unemployment is rampant, most people are not likely to find an extra job. 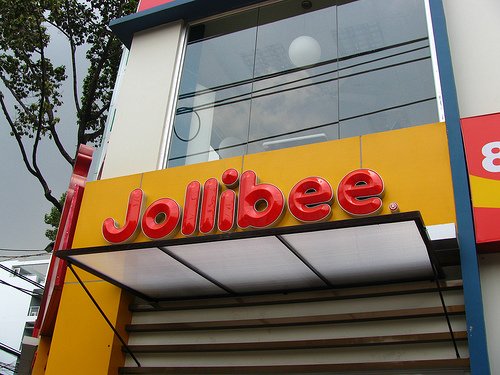 That’s why buying a business franchise has become a popular choice among Pinoys. Franchising is relatively simple because there’s no product to invent or a business model to test. A business that has opened its doors to franchising already has the track record of earning profits. 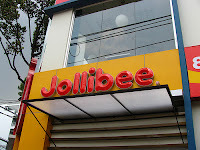 All the franchisee has to do is choose the location and run the franchise efficiently. Still, success is not guaranteed even with a franchise. And if one is not careful, a franchisee can easily lose his or her capital because the business proved lackluster for some reason. So choosing which franchise business to pursue is very important. There’s not a lot of freely available data which can help investors decide which business will succeed. Mostly it’s about gut feel. But if you're going to bet a considerable portion of your savings to a business venture, you would want to get the best information available to help in your decision. Although there can be many factors that will determine the fate of a franchise business, due diligence in doing the preliminary research will help you lessen the odds of failure. If you feel like creating a checklist for this purpose, make sure you’ve got the items that we will discuss below covered. It’s not everything there is to check but it’s an essential list that I have learned from experience running a business franchise. It wasn’t ultra-successful but the franchise I owned taught me quite a lot about running a business. I have written about selling and why it is the most important skill in business. When you’ve got a franchise of a business, you definitely have to give enough attention to how effectively you sell. But in order for you to become passionate about selling a product, it should be extraordinary in your own assessment. If you’re not convinced your product or service is any good, your effort to sell it will not succeed. If you know your friends will like your product, you would eagerly endorse it. Because even without any selling experience, we all sometimes vouch for good products that easily convince others to buy. It’s a matter of being genuinely amazed by a product that ultimately attracts others to it as well. If you try selling something to the wrong market, you can end up with a lot of disappointments. Selling expensive stuff to a place frequented by Class D & E consumers, for example, would not work at all because no one will buy. It doesn’t matter how great the product you’re selling, if you’re pitching it to the wrong crowd your efforts will be in vain. For inexperienced entrepreneurs, seeing a product sell in one place can lead them to wrongly conclude it can sell everywhere. But if you’re going to be really smart and careful, you’ll have to know the consumers who are drawn to the product. Study who they are and how you can reach them. Considering your franchise business prospect and the market that it serves, where would be the best place to locate your business? Because it’s difficult to select a location for a business, many business owners tend to justify going for a place that they’ve found affordable even if further examination reveals some dangers. Sometimes the only factor being looked at is foot traffic. Although the amount of people who will pass by to see your products is important, it’s not as important if they’re not the right people to buy them. Just because location is very important, a future franchise owner should assess a business based on the locations he is able to tap. Usually, distance from the owner and rental costs will dictate what locations are possible. Given the possibilities, you can eliminate franchises that will not suit any of the locations you can think of. The cost of doing business is always a critical factor to consider in choosing a franchise. Doing your homework to make cost estimates will help you assess your potential to earn profits. It will also clearly spell out to you how much you need to sell if you want to succeed. The higher your expenses the lower your profit becomes. Knowing where the expenses will go can also help with ideas for cost-reduction measures later on. But ultimately, it will help in assessing the risk of not selling well by showing how much loss you may incur. Knowing these things can really help you to decide if the business is something your risk appetite is ready for. Effective selling is actively done. So it's wrong to think that a franchise business will not need any marketing activity. Business owners who fail to understand this are often forced to take action when sales struggle to meet the target. As a future franchise owner, understanding how your products will get to the attention of your buyers is necessary. Foot traffic will only get you so far. Getting serious attention as opposed to a useless glance from potential customers can only be achieved with good marketing. The franchisor should present their marketing plan and also help you create one for those nearer your location. You can have great products and a pretty good location but if your product isn't competitive enough, you will do badly. Oftentimes, competition is unavoidable. You don't need to shun them all the time. But you do have to learn your competitive edge over the others so that you can capitalize on your advantage. A product that doesn't have a competitive edge based on your assessment should be avoided. Even if the terms of the franchise are favorable, it shouldn't lure you to make the wrong judgment. Last but definitely not the least, existing franchise owners are a great resource of information. Find them and talk to them. Invite them to lunch if you can. Their insights into the business are better than anyone else. You can use their experience to make a determination to buy the franchise or not. Perfect information will never be available in any decision-making process. Same is true in choosing a franchise business. But it shouldn't stop you from knowing as much as you can before you go ahead. Oftentimes, your chances of success are made better because of it.